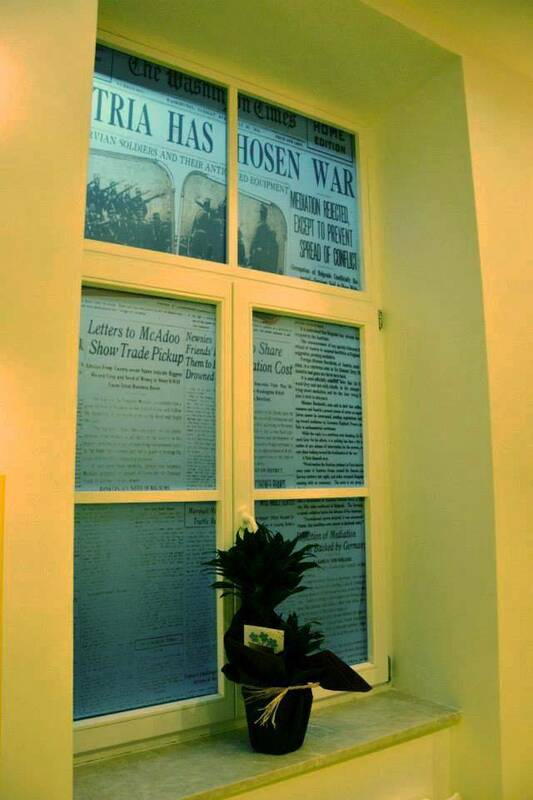 In a charming building, built in the Austro-Hungarian period, young architects and designers refurbished the space and shaped a hostel that tells you a story of the event that initiated the First World War and forever marked Sarajevo on the map of the world – the assassination of the Austro-Hungarian archduke and Royal Prince Franz Ferdinand and his wife Sophie. 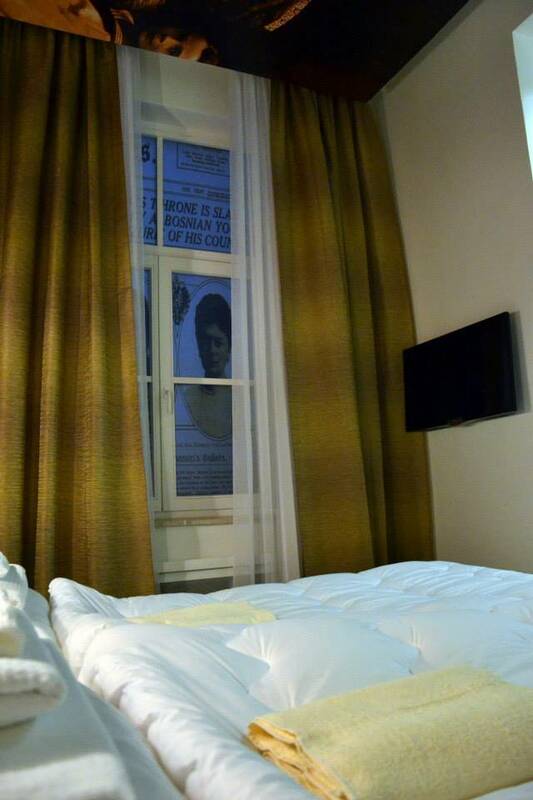 Every room in the hostel is authentic and you can choose to sleep in the Franz Ferdinand Room, Sophie Chotek Room, the Young Bosnia Room or the assassin Gavrilo Princip Room or rather, take the romantic room of the couple in love, the Sophie and Franz Room. From the quiet street where the Franz Ferdinand Hostel is, everything is close at hand. The street directs you to the main pedestrian zone. The most popular gathering places, clubs and restaurants in the city, are in the street right across it. The old part of the city, Baščaršija, is only a couple of minutes walking distance away from our hostel, and the distance is approximately the same to the center of the Sarajevo festivals, by which the city became well known in the after the war period. 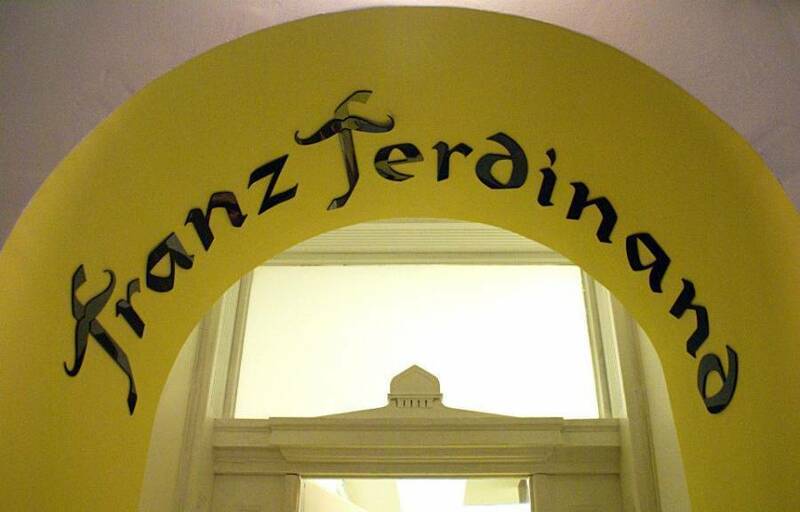 If you want to see all the landmarks of the city, which we cordially recommend, from the Franz Ferdinand Hostel, you can take a short walk to most of them. Apart from a comfortable bed, clean and air-conditioned room and bathroom, irresistible design and the central location, we offer you a continental breakfast included in the price. Our kind and friendly staff’s priority is your safety, entertainment and good and economical fun time in Sarajevo. On our premises, you will be in a relaxed and friendly atmosphere and there is no question you can ask for which we will not at least try to find an answer. Alongside with our always available staff, we have designed supplement services to round your stay in Sarajevo, from the transportation and parking to the professional guides on your touristic trips. 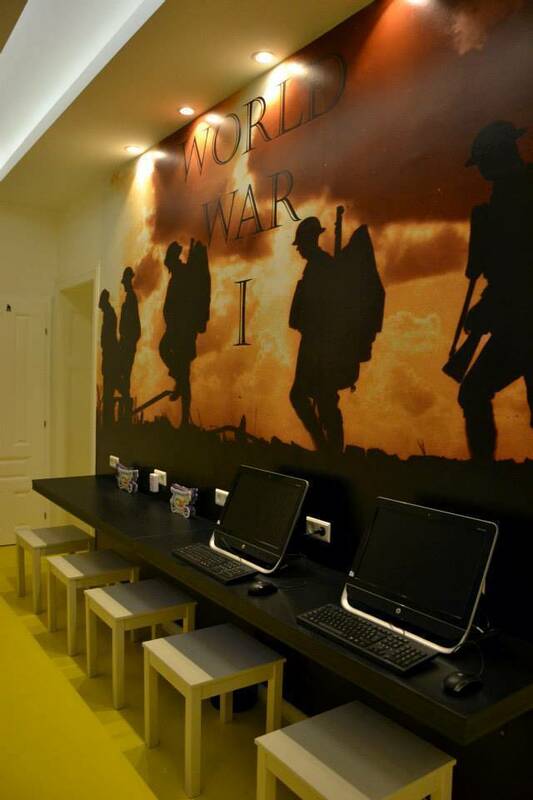 If you are looking for peace, privacy or you want to meet new people and acquire friends, if you are young or elderly, come to the Franz Ferdinand Hostel in Sarajevo! 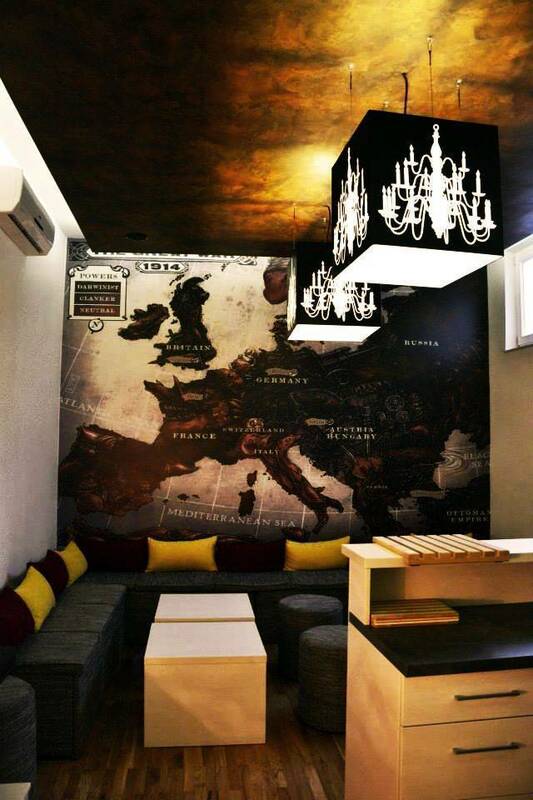 Hostel Franz Ferdinand is located in the very heart of Sarajevo, in the Jelića Street, one turn from the main pedestrian street Ferhadija. In the street right across Ferhadija, the most popular gathering places and clubs are placed. The hostel is only several minutes walking distance away from the old part of the town, famous Baščaršija. Yet another famous monument in Sarajevo, the Sacred Heart Cathedral, is only several minutes away from the hostel in the other direction. Walking from the Cathedral to Baščaršija, first turn left is the street where the hostel is, street number 4. If you want to use public transportation from the main bus and railway station, you can take a tram. You should exit at the „Cathedral“tram stop. Once you are at the stop, you cross the street – on the left from the Cathedral, there is the Jelića Street and the hostel Franz Ferdinand. Coming from other parts of the city, you can take a tram, line no. 3 and exit at the same stop „Cathedral“. Another option is taking a taxi which is pretty cheap in Sarajevo. Please mind that a legal taxi have license plates starting with „TA“ and the start costs 0, 75 EUR /1, 5 BAM, all the way to the hostel (the Jelića Street) taxi will cost you around 4 EUR / 8 BAM. 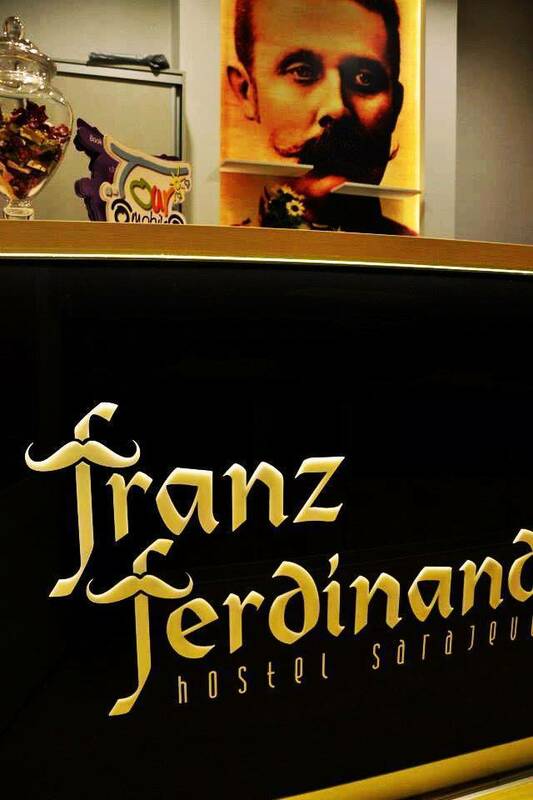 Hostel Franz Ferdinand offers pick up / drop off service on request in our brand new, air -conditioned vehicles Send us e-mail or give us a call 24 h in advance. The price range is from 4 – 8 EUR / 8 – 16 KM depending on your pick up loccation. If you are arriving at the airport, apart from ordering our transportation, the best option is taking a taxi. The price of the taxi ride to the hostel (the Jelića Street) should be around 10 EUR / 20 BAM. If you are arriving by car, follow the main tram road east (Obala Kulina bana) to the old part of the city, following the one way along the river to the City Hall building. Continue to follow the tram tracks where the road will change name (Mula Mustafe Bašeskije) and direction (west). On the left side you will see a synagogue. The first street left is Jelića where the hostel is situated. In case you need a parking place please send us a request as early as possible, so we can inform you about the options.